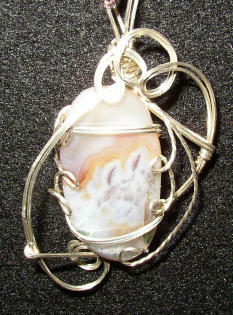 Wire wrapped pendant made from Plume Agate from the Texas Big Bend and Sterling Silver wire. 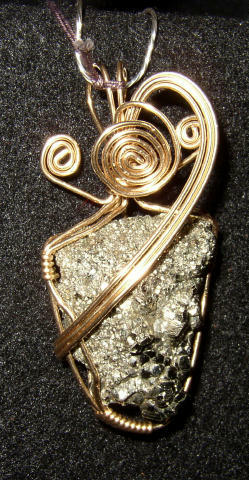 the approximate dimensions are : 1 1/2" W X2 1/4" H X 1/2 " D and includes a cord. 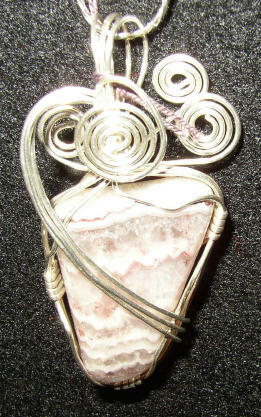 Wire wrapped pendant made from a tumbled polished Petrified Wood from the Big Bend area and Sterling Silver wire. 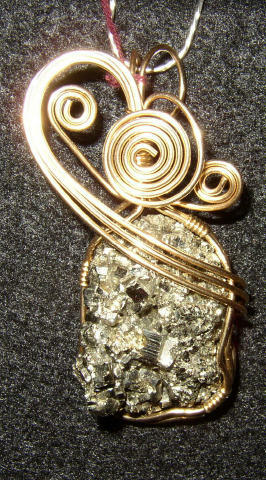 The approximate dimensions are : 1 1/4" W X2 1/2" H X 1/2 " D and includes a cord. 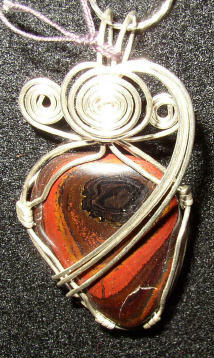 Wire wrapped pendant made from tiger Iron from Australia and Sterling silver wire. 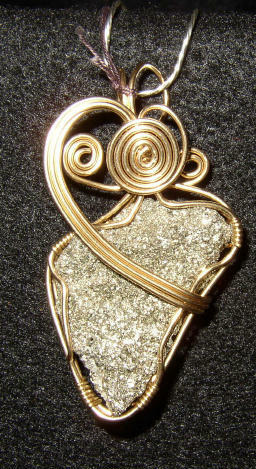 The approximate dimensions are : 1 1/4" W X2 1/2" H X 1/2 " D and includes a cord. 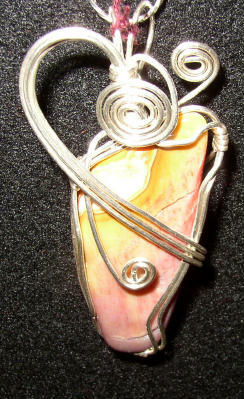 Wire wrapped pendant made from Red lace Agate from Mexico and Sterling Silver wire. 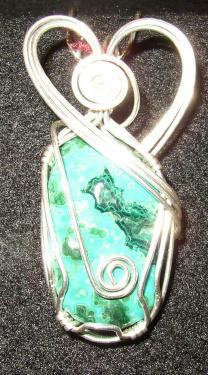 The approximate dimensions are : 1 1/4" W X2 1/4" H X 1/2 " D and includes a cord. 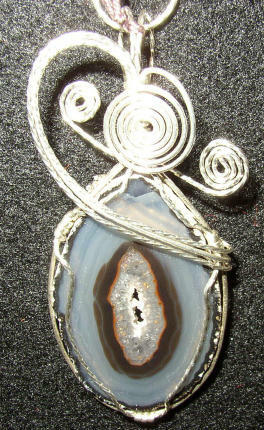 Wire wrapped pendant made from Brazilian Agate from Brazil and Sterling Silver wire. 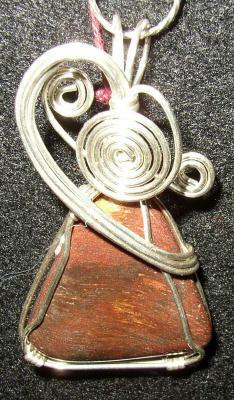 The approximate dimensions are : 1 1/4" W X2 1/2" H X 1/2 " D and includes a cord. 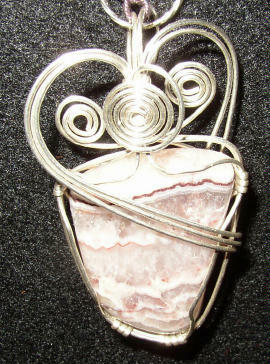 Wire wrapped pendant made from a tumbled polished East Texas Petrified Wood from just South of Crockett, TX and Sterling Silver wire. 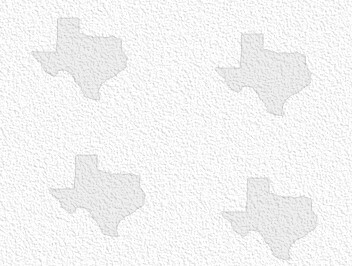 The approximate dimensions are : 1 1/4" W X2 1/2" H X 1/2 " D and includes a cord.